What exactly is Folk Horror? Is it the writing of M.R. James and Alan Garner? Is it the television scripts of Nigel Kneale, John Bowen and David Rudkin, the films of David Gladwell and The Blood On Satan s Claw? Or could it be the paranoid Public Information Films of the 1970s; the Season Of The Witch ; The Advisory Circle reminding us to Mind how you go! ; or perhaps a contemporary story of two hit-men caught unknowingly in a class-saturated ritual of violence? Interest in the ancient, the occult, and the wyrd is on the rise. 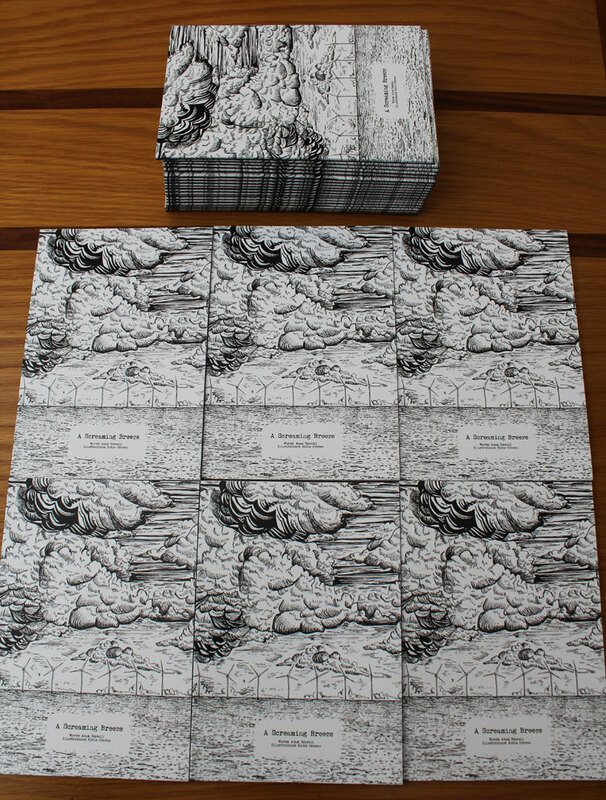 The furrows of Robin Hardy, Piers Haggard and Michael Reeves have arisen again, as has the Spirit of Dark of Lonely Water, Juganets, cursed Saxon crowns, spaceships hidden under ancient barrows, owls and flowers, time-warping stone circles, wicker men, the goat of Mendes, and malicious stone tapes. Folk Horror: Hours Dreadful And Things Strange charts the summoning of these esoteric arts within the latter half of the twentieth century and beyond, using theories of Psychogeography, Hauntology and Topography to delve into the genre s output in film, television and multimedia as its sacred demon of ungovernableness rises yet again in the twenty-first century. A Screaming Breeze – A Short Ghost Story. 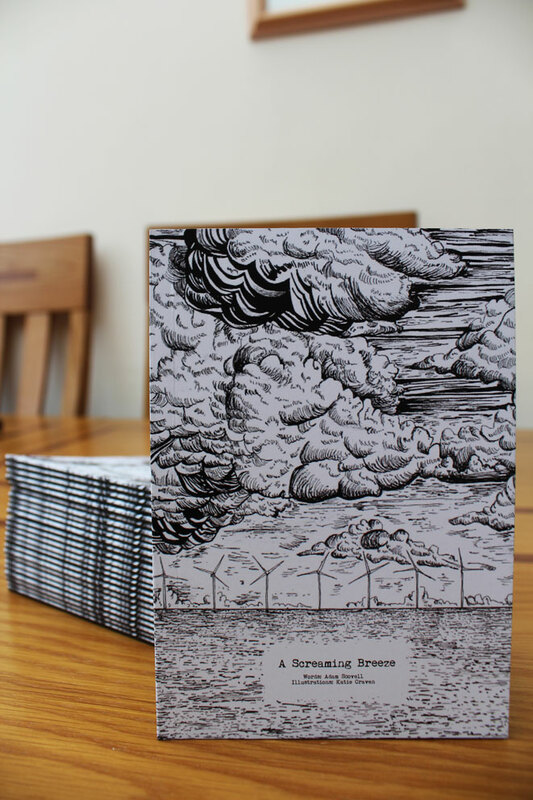 A Screaming Breeze is a short ghost written by Adam Scovell with illustrations and artwork by Katie Craven. It follows a lonely technician who is haunted by creatures on an offshore wind-farm on the north Norfolk coastline. 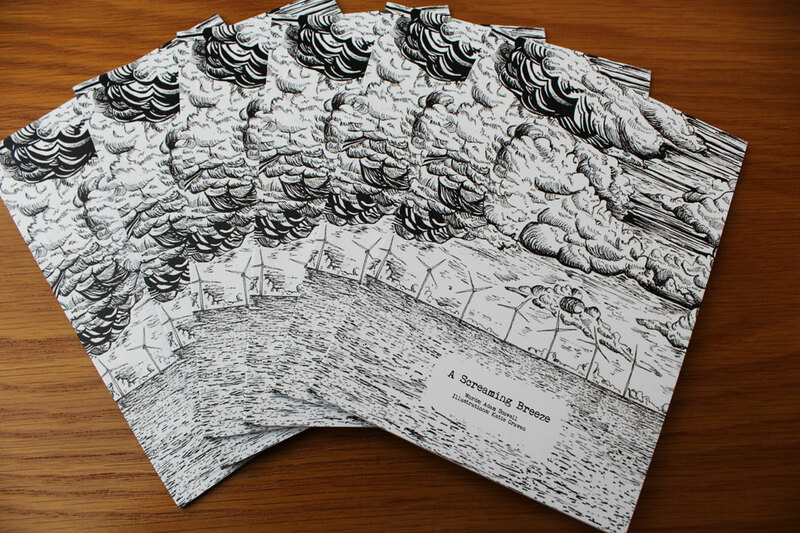 A Screaming Breeze is printed by Sphinx Media and is a custom sized zine/book (15cm x 10cm), 26 pages long with four especially created illustrations. 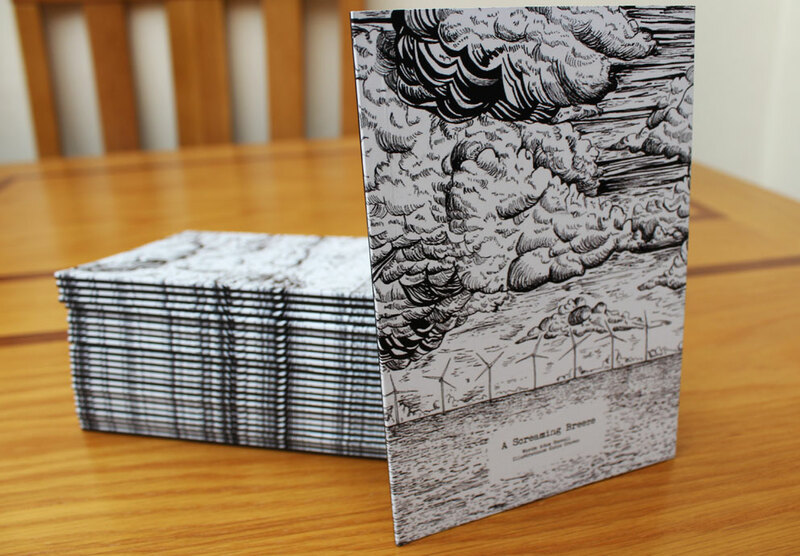 It has a high quality, printed card cover with spine and is written in 8pt size text. 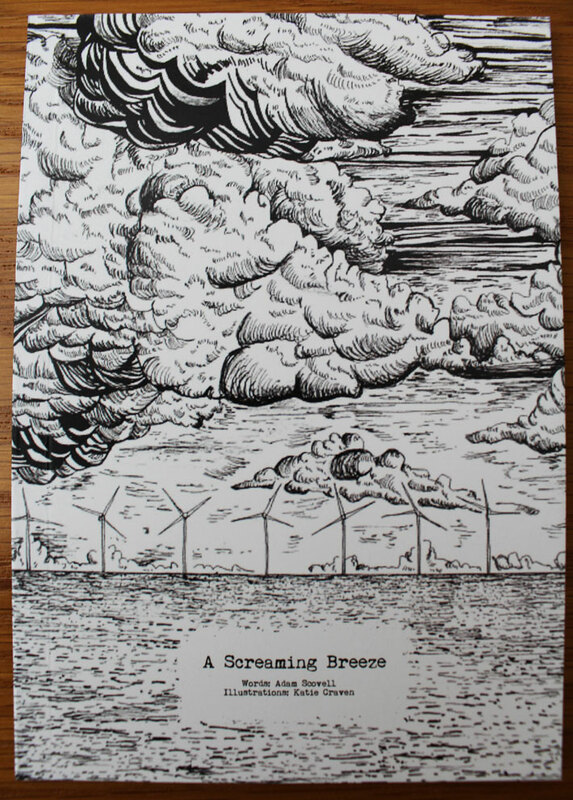 A Screaming Breeze is available to buy from Etsy here. Interesting concept. I was recently in the Norfolk area (Wisbech to be exact) and there was a certain haunted-ness about the landscape. Anyway, I’d love to chat to you about your writing if you wanna email me!